Orox Leather is a family owned and operated manufacturer of leather goods based out of Portland, Oregon. 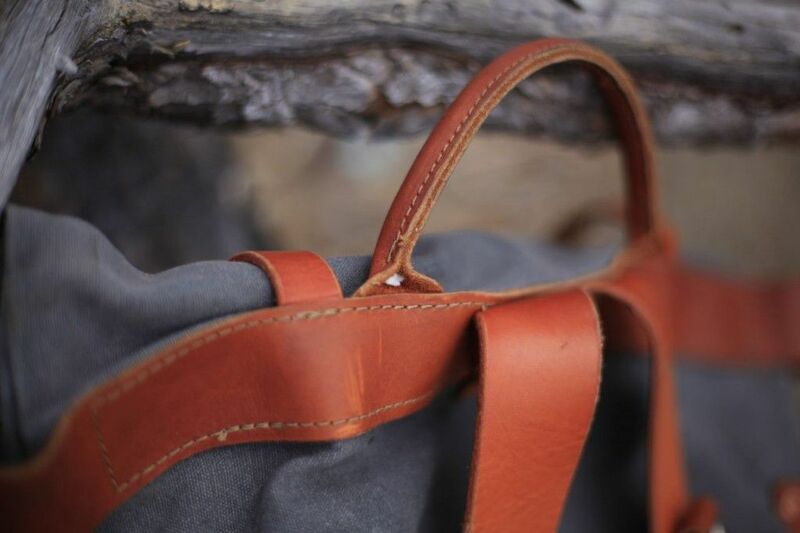 They feature a full line of interesting and cool leather goods, including leather/canvas lunch bags, leather/canvas backpacks, totes, wallets, and bicycle gear. This is one of their leather/canvas backpacks, the Lineo Rollup Parva in Grey. The Lineo Rollup Parva bag features waxed canvas with English bridle leather straps from Pennsylvania, and oil tan leather accents from Red Wing in Minnesota. The shoulder straps are stitched on with nylon thread and the leather accents are attached with copper rivets. The English Bridle shoulder straps are stitched to the canvas with nylon thread. The waxed canvas is unbelievably waterproof. I rode with this pack through a complete deluge and my stuff was totally dry. Absolutely fitting for a company based out of rainy Portland, Oregon. The bridle leather straps are lightweight and strong. Bridle leather is associated with durability and using it on the shoulder straps indicates a commitment to quality and longevity. The copper rivets featured on the leather accents. The stitching is solid and well done — not suitable for hundreds of pounds, obviously, but great for light loads and daily carry stuff. This has become my go-to bag for daily stuff, as well as my main cycling bag — trips to the coffee shop, carrying water, a book, my pipe and a few different tins of tobacco, a notebook or two, maybe a sketchbook, etc. This is the perfect bag for riding around town and enjoying the day. It seriously weighs nothing. It will fit exactly what you need for the day and still have room for something extra if you need the space — plus, it will keep everything dry if a rain storm comes up. It also features a unique locking system on the shoulder straps, which took me a few weeks to figure out. There are two claw clasps on the shoulder straps that act as the anchor for the strap itself (hard to explain, but check out the photo above). There are two D-rings — when the bag is in normal-unlocked mode, the claws are attached to the upper rings. But, if you want to lock the bag to you, then simply unhook the claws, cross them across your chest, and attach them to the lower D-ring. This is a great design — it is incredibly secure. The D-ring and claw clasp setup. The inner pocket is fairly spacious and features a divider to separate out your documents/laptop/reading material etc. and it features two smaller outer pockets to hold a journal, keys, wallet, etc. Great function in the pockets. Nice design feature on the inner pocket. This bag also functions as a great ice breaker with the ladies. No need to start an awkward conversation when the conversation starts on its own with this beautiful conversation piece. Just a thought. I have received more compliments on this bag than any other bag that I own — period. It is a cool looking bag — that classic leather on canvas look, complemented by the simply beautiful roll-top. It is a very simple design, but classically cool and aesthetically beautiful. Leather on grey canvas — classy, classic, and stylish. The tan leather on the grey canvas is perfectly contrasting and the copper rivets on the tan leather is a beautiful touch. 10 stars. Perfect landing. Aesthetically speaking, this bag is perfect. Also, any ladies out there looking for a good looking but not super rugged leather and canvas bag, this is a great option. If you are looking for a cool, beautiful, classic, simple backpack, think twice before you click “buy” on the Herschel Supply bag and check out the Lineo Rollup Parva from Orox Leather. At $445, you are getting what you pay for — a well built, well designed, well functioning and unbelievably cool looking bag. 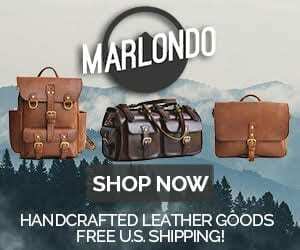 4 Comments on "Lineo Rollup Parva from Orox Leather Review – $445"